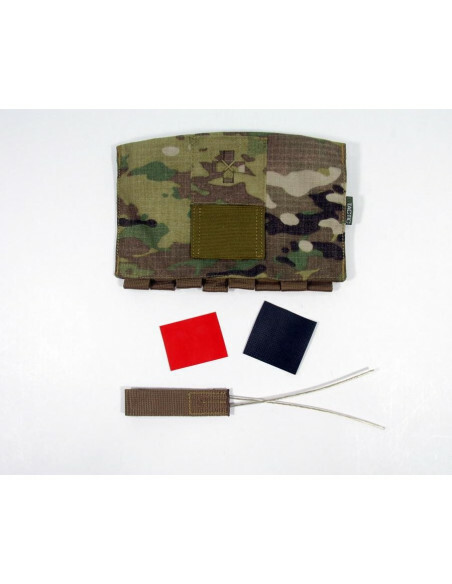 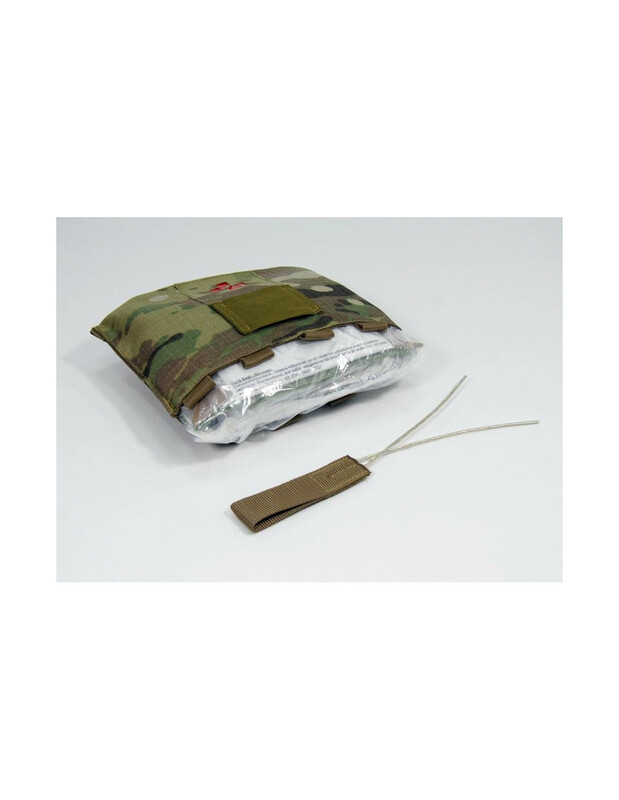 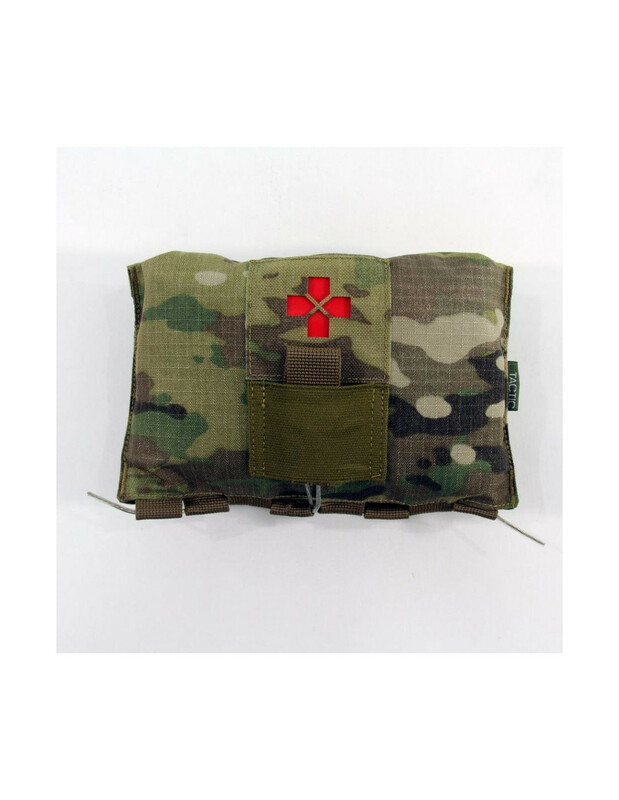 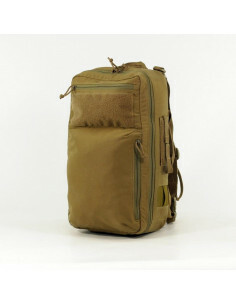 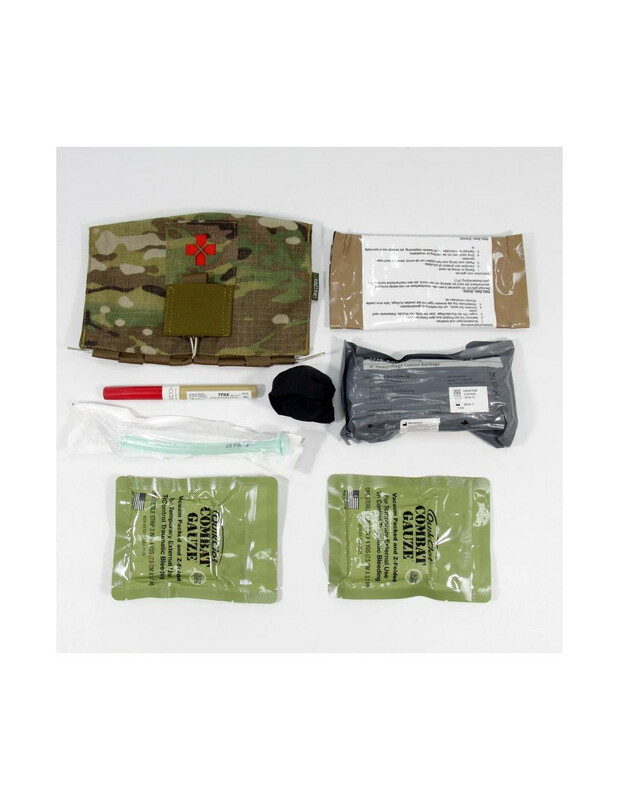 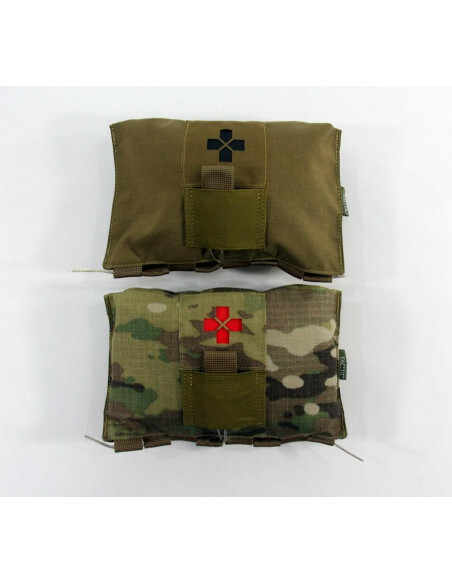 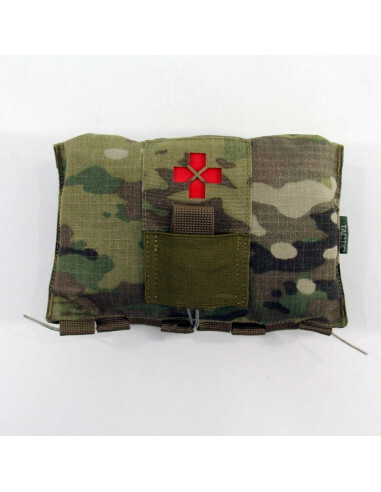 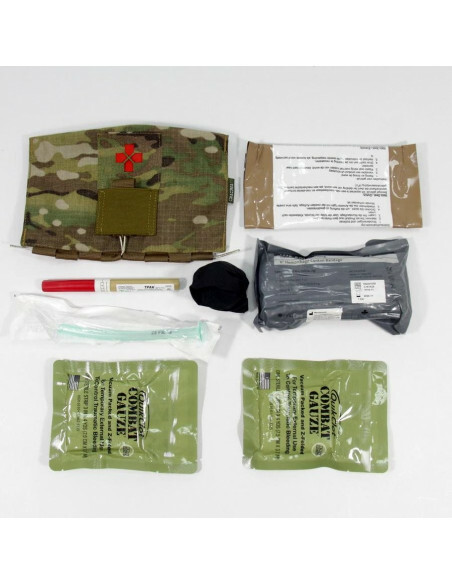 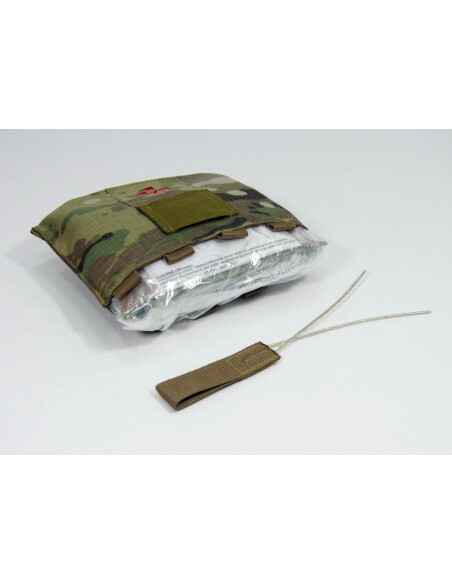 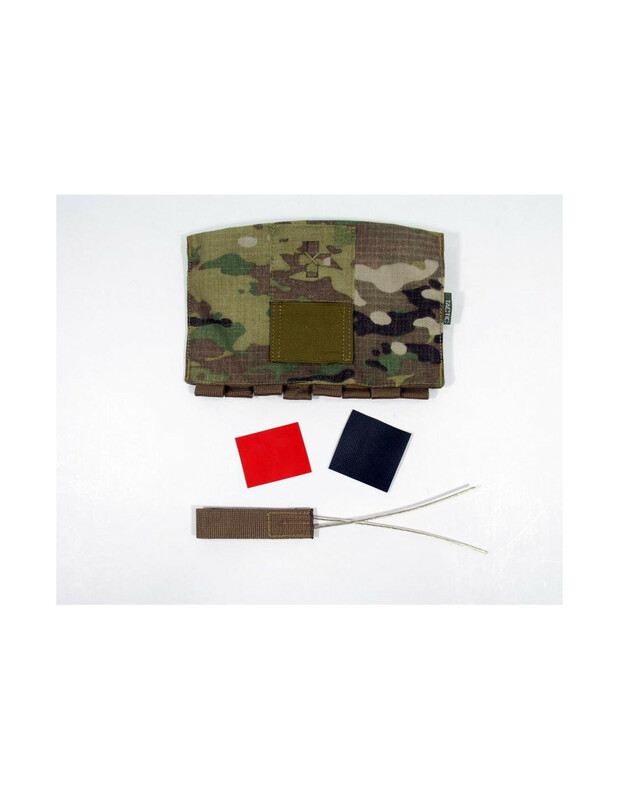 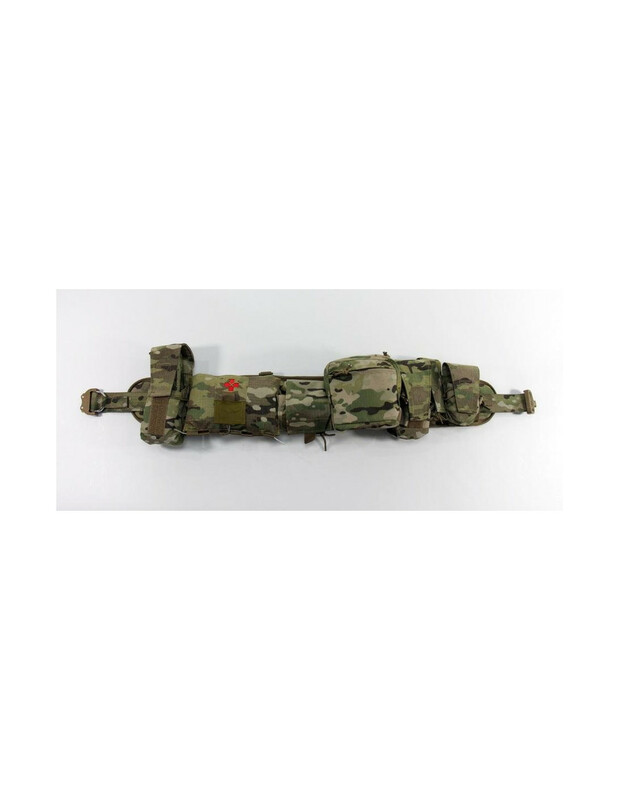 UTactic Alpha Medical Pouch Rapid Access Kits is designed for carrying an individual set of medical products, tools and other medical supplies for emergency medical service in the battle conditions. 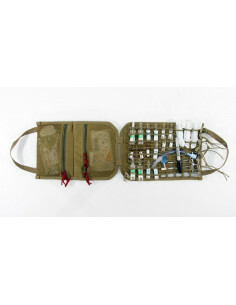 The cable lock provides quick access to the first aid kit contents. 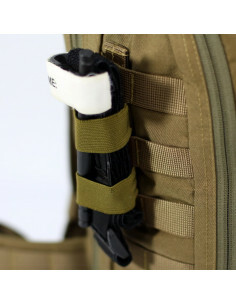 The cable lockclasp hides in the pocket which made of an elastic tape on the front side of the first aid kit. 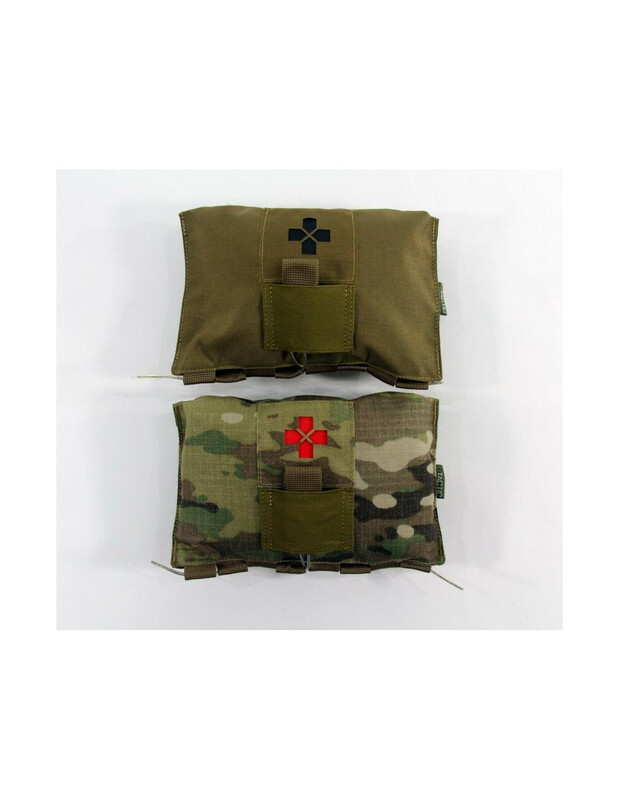 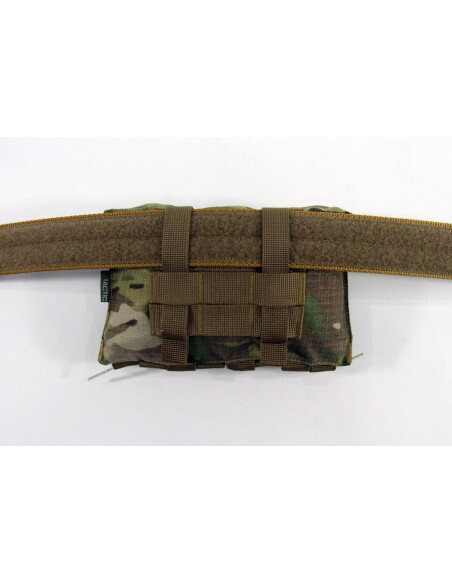 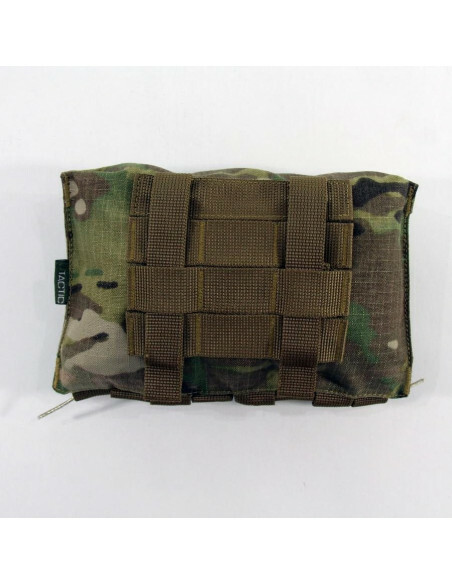 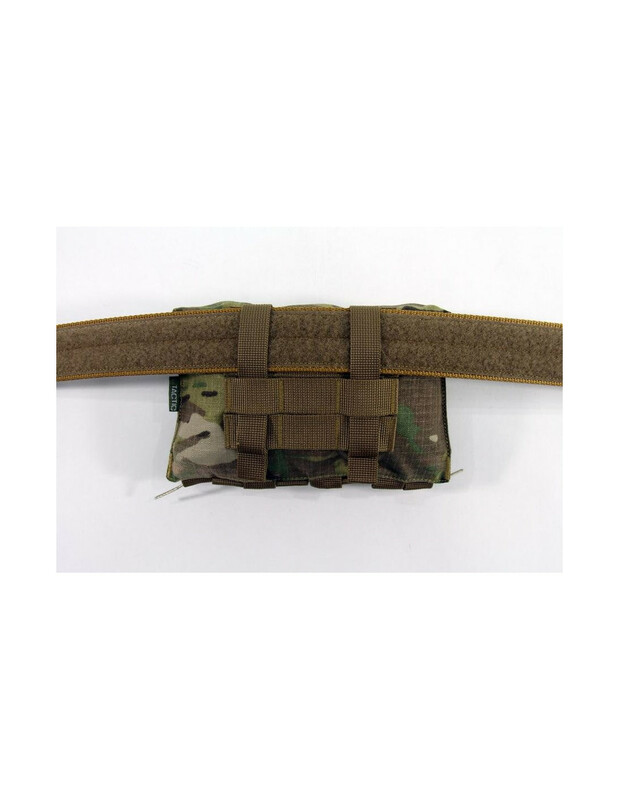 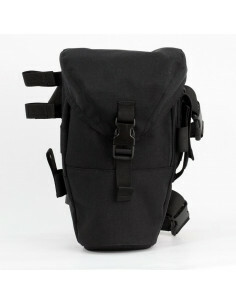 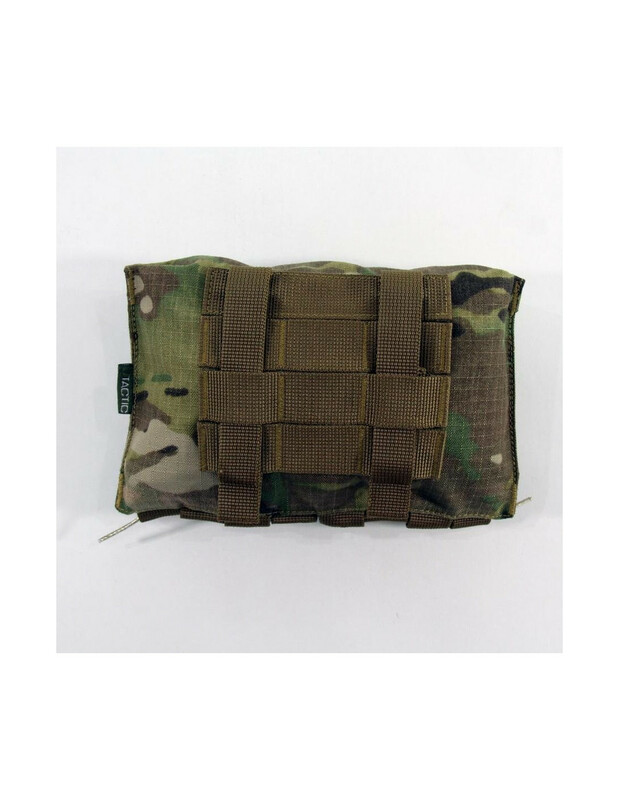 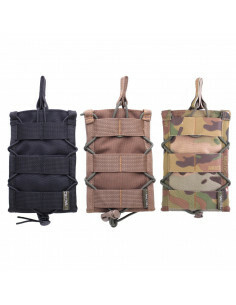 The MOLLE system on the back side allows to place Alpha Medical Pouch on the Load Bearing Equipment, other equipment, belts. 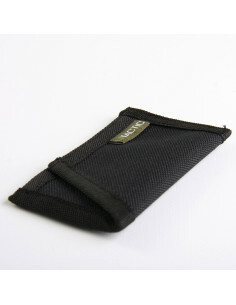 On the front side there is a pocket for replaceable color identifiers.